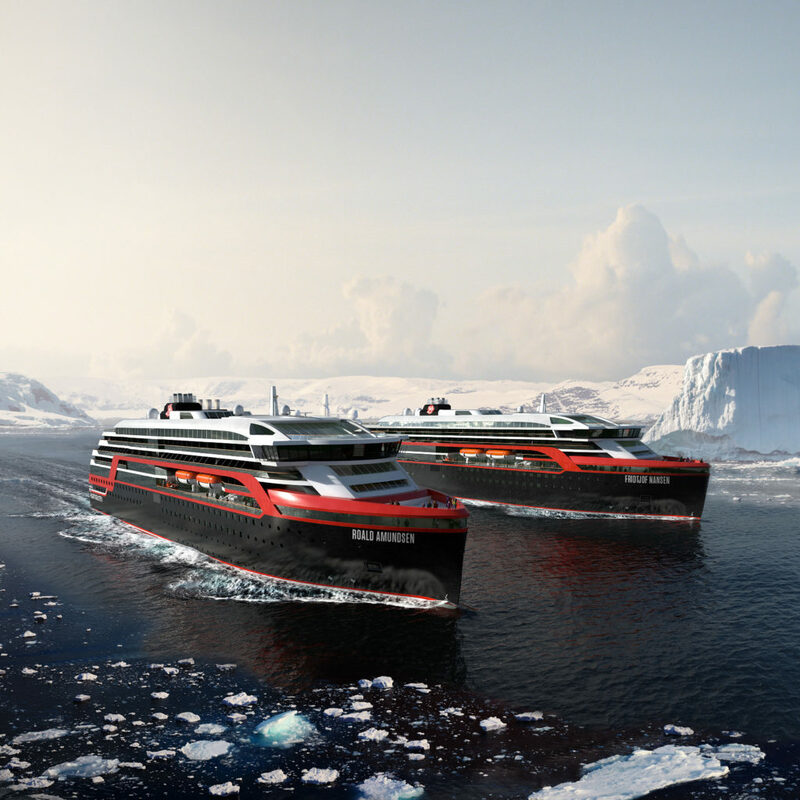 Named after two of the greatest heroes in Polar history, MS Roald Amundsen and MS Fridtjof Nansen, Hurtigruten’s new hybrid powered expedition ships, will combine state of the art technology and premium on board experience with Hurtigruten’s 125 years of experience and unparalleled destination expertise. The result: The next generation of adventure travel. 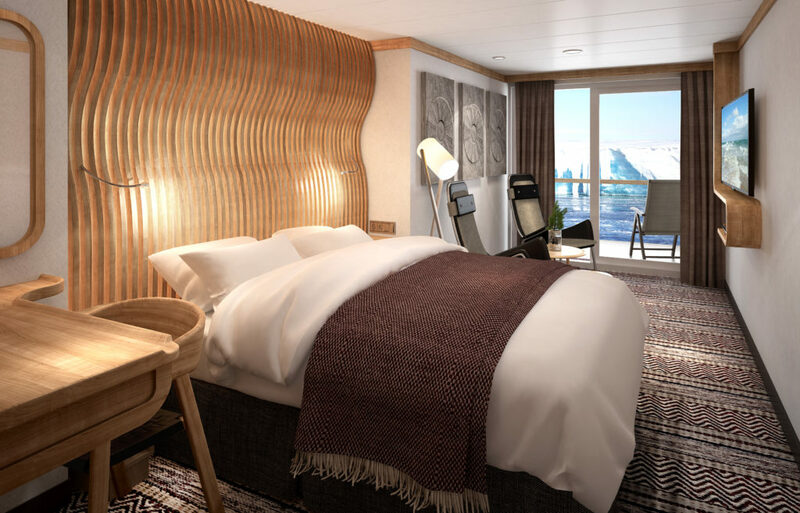 One of the most eye-catching exterior design features of the ships will be the two-level indoor/outdoor Observation Deck wrapped around the top of the ships’ raked bow. In a vast area behind it, you’ll find the core of the onboard experience: Amundsen Science Centre / Nansen Science Centre. The first Antarctica voyages on board the MS Fridtjof Nansen. With three ships operating out of South America for the full 2019/2020 season, Hurtigruten offers more options and departures than ever before. The Antarctica adventures on MS Roald Amundsen, MS Fridtjof Nansen and MS Fram ranges from 11 to 21 days. Several Hurtigruten expedition ships – among them MS Fram, MS Spitsbergen and MS Nordstjernen – operating 4 to 14 day Arctic voyages out of Longyearbyen.